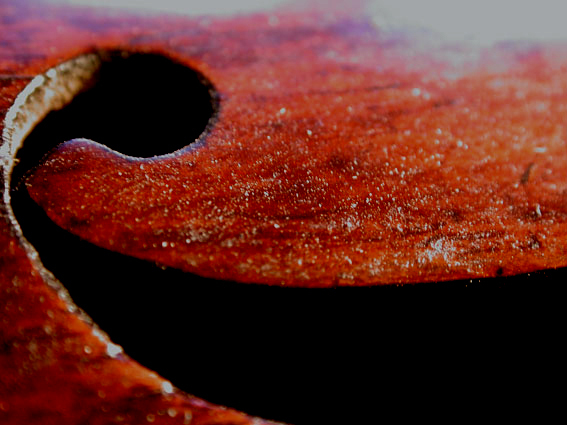 One often hears questions about the proper way to clean a violin, cello or viola. Almost all tree resins react to warmth and are therefore thermoplastic. 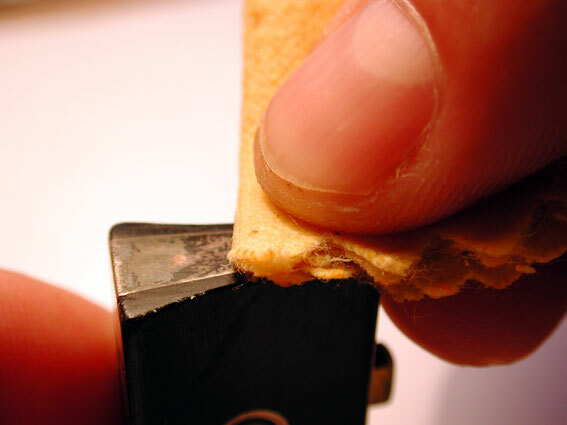 As a result, the rosin particles soften even with slight warmth and bond to the varnish surface. Rosin must be sticky in order to make the strings resonate, but it doesn't just stick to the bow hair, it also sticks to the varnish. The Miracle Cloth is an impregnated cloth which can clean nearly all impurities on both violin and bow, and this without damaging the varnish. 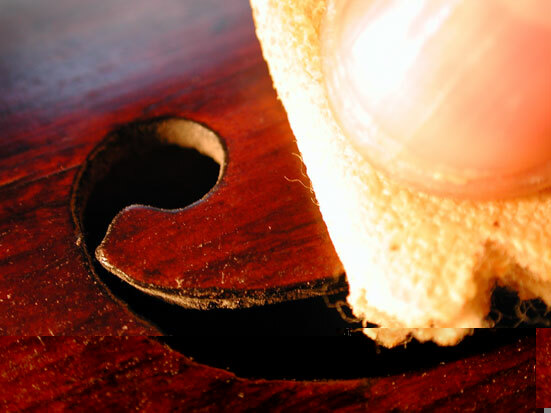 Please note: When using any cleaning solution remember always to try it out on a small area of the instrument first in order to see how the varnish reacts. We are, however, unaware of a single instance with the Miracle Cloth in which any incompatibility could be determined. The small rosin grains can be seen clearly. The varnish feels rough and is blunt. 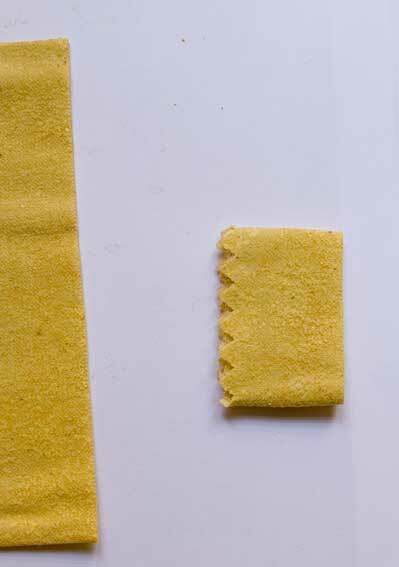 Cut off a small piece of Miracle Cloth and fold it up several times. Now rub the cloth over the dirty areas. You can feel how rough the varnish feels underneath. Rub with mild pressure until the roughness is gone. Please remember to rub carefully around the f-hole area as the instrument is very sensitive here. You should not use any cleaning solutions on an instrument with an open cleft or other open areas. Check carefully afterwards that the dirt has been removed. Carefully remove the residue with a clean white cloth (material from old sheets or bedcovers are suitable). The professional result, the dirt is now in the Miracle Cloth! But you can also continue to work with it elsewhere. 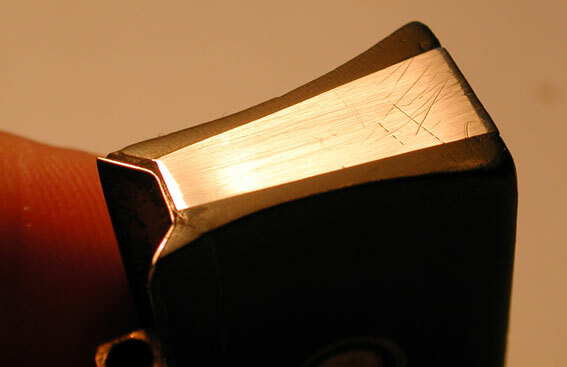 As an example we will show you the possibility of cleaning the metal pieces of the bow nut. The Miracle Cloth is perfectly adapted for the cleaning of all metals. 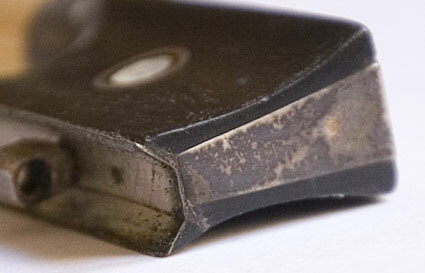 Just as did with your instrument, you can also remove rosin from your bow. 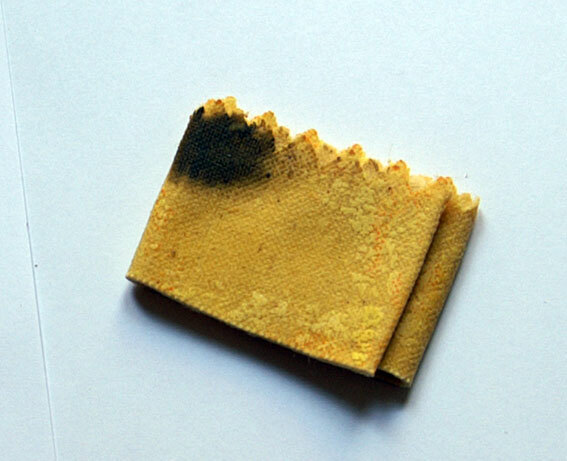 We hope that your bow doesn't look like this , but even if it does, you can still get it clean. As with cleaning the violin, the cloth is rubbed over the metal. And here, too, the result is absolutely professional. If you have any further questions concerning cleaning, we have placed this as a topic in our forum. The forum is moderated by the master of violinmaking. 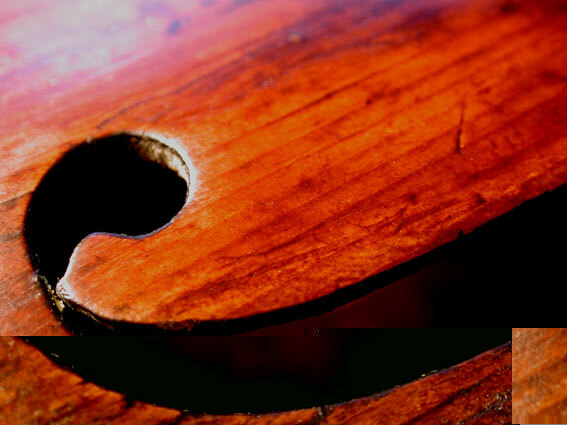 You will receive competent answers to your questions from someone who has 30 years of violin making experience.